Welcome to June. June is a month for plugging ourselves into the wider world. It’s a perfect time for creating or joining teams, for travel, for organising help, for forming new relationships and strengthening our relationship with ourself. I’ve chosen two cards for May for you: one from the Osho Zen Tarot Deck, and one from Colette Baron-Reid’s Wisdom of the Oracle. Please note I don’t use these cards in the conventional way, but rather as a stimulus for channelled information. June is all about connection. Connection to friends and family. Connection to social networks, connections in the workplace, and connections to the world-wide-web. No matter who you are, or where you are, look for opportunities to reach out and connect with other people. Have you been thinking of someone lately whom you haven’t seen for a while? Call them up, invite them for coffee, or drop by and say hi. Travel. Get out and see a little bit more of your corner of the world, or further afield. Let June have a little adventure in it for you! Everyone needs a team, and June is the perfect energy for expanding yours. Your team is anyone who helps you in some way. Your dentist, the person who makes your coffee in the morning, the place where you buy your groceries – all of these people are as much a part of your team as the people you work with or your family members. We all need to help each other, and having a team we can rely on is vital to sustainability, wellbeing and managing stress effectively. Teams amplify energy and creativity. They relieve our burdens and help us all to grow. their team? How could you help them? June is also about where you can make a difference. Take time this month for connecting with people who are important to you, and who make you feel good. Build your team. Put your hand up to be part of someone else’s. How can you be the solution to someone else’s problem? The second card I’ve chosen is Exchanging Gifts. It’s a sensible message of caution that supports the initial card about connection. This card reminds us that there needs to be fair energetic exchange when we put our talents and gifts out into the world. Don’t work for free unless you need the experience or you are happy to donate your time and efforts. Don’t give time (or any other gift) to those who won’t value it. Limit your exposure to the users of the world, especially those who are habitual takers in your life. Be generous with praise where it is deserved, and support where it feels right. Sometimes our payment is in the satisfaction of having lived true to our values – helping another who had nothing to give in return. This month you can make incredible progress in your life. Don’t let it be derailed by people who are selfish and clueless and who make it all about them. Set clear boundaries and make sure to hang out with people who encourage and uplift you. 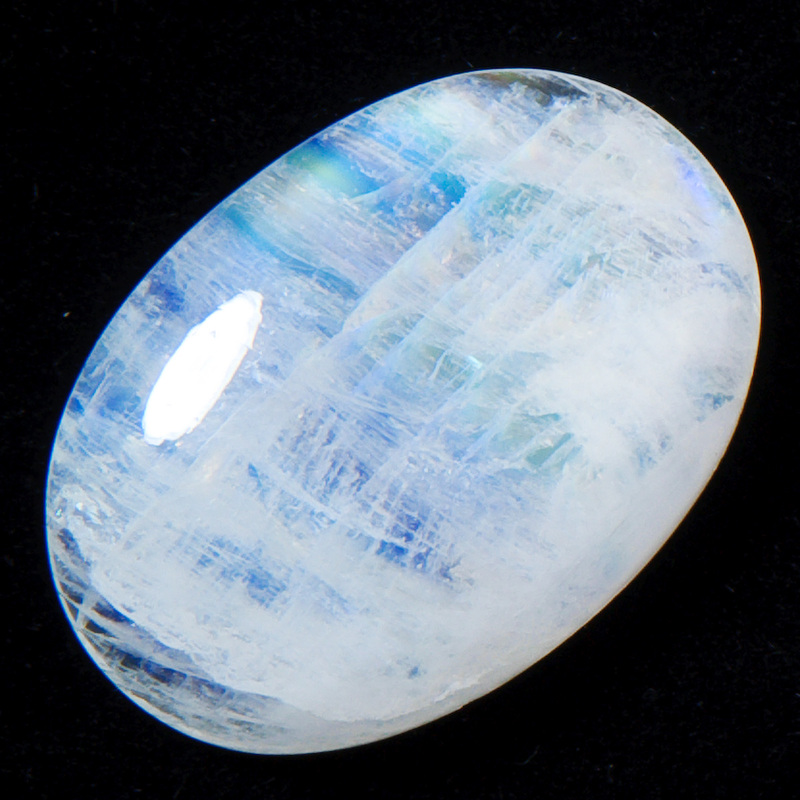 Moonstone helps us to tune in to the energies of the people around us. It supports empathy and intuition, and is a gentle and reassuring stone for developing psychic ability. This is a super stone to wear as a ring, bracelet or pendant. inspired and energised. Wonderful if you feel depleted or exhausted as it provides a great boost to your physical body. Try this sublime diffuser blend of 6 drops of Lemongrass, 5 drops of Joy (a Young Living blend) and 1 drop of Vetiver. This fragrance is uplifting, refreshing and the Vetiver gives that touch of grounding. If you don’t have Vetiver use a drop of Cedarwood instead. Instead of Joy you could substitute 2 drops of Geranium, 2 drops of Ylang Ylang and 1 drop of Bergamot. My fairy friend Sokli calls this her Wake Up Happy! blend. You can find the oils here. Unworthiness Issues – Or Why Am I Freaking Out When Things Are Finally Going So Well? – Some reflections on our self-sabotaging behaviours and limiting beliefs. What does happiness look like to you? – Happiness can be found in simple things. This post gives some examples and suggestions for creating your own happiness list. The Best Path Magical Oracle – Choose a Magical Path and receive a message just for you! Meditation for Healing your Relationship With Money – A guided meditation for finding better ways to connect with the energy of money and worthiness. Life Lucky Dips – Why you need them! – Tips for starting small and getting out of stuckness. Do What Makes Your Heart Sing – Life is precious, and this post will help you to remember why you need a team. Because you have so many things in this life that only you can do, and the rest of the tasks can be shared with others. June is a month for living a little more loudly, a little more joyfully, a little more fully. It’s a month for connection and reconnection. For adventures and for honouring your value. Enjoy this fabulous month. I know I will , as I travel around Asia and Europe on my own big adventure!